Intended for individuals and groups who want to taste the honored tradition of using scripture to offer praise, thanksgiving and intercessions at dawn and sunset, this new book provides a four-week cycle of prayer. 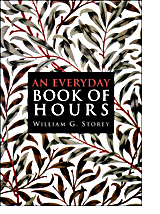 Each "hour" includes a psalm, a canticle and a brief reading from the Old or New Testament, interspersed with prayers that echo the biblical poetry. An introduction explains how to use the book and supplementary sections offer an order for night prayer, basic prayers, hymns and additional scripture readings.